While answering questions on the Hibernate forum, I stumbled on the following question. What was different than previous questions on the same topic was that the original poster realized the shortcoming of the JPA constructor expression which can be addressed elegantly by Hibernate. Because this has been a recurring theme on StackOverflow and the Hibernate forum, I decided to dedicate an article to the best way of mapping DTO projections using JPA and Hibernate. As previously explained, fetching entities only makes sense if you plan to modify them. If you are only interested in a DTO projection, it’s more efficient to select only the columns that are really needed by the caller. 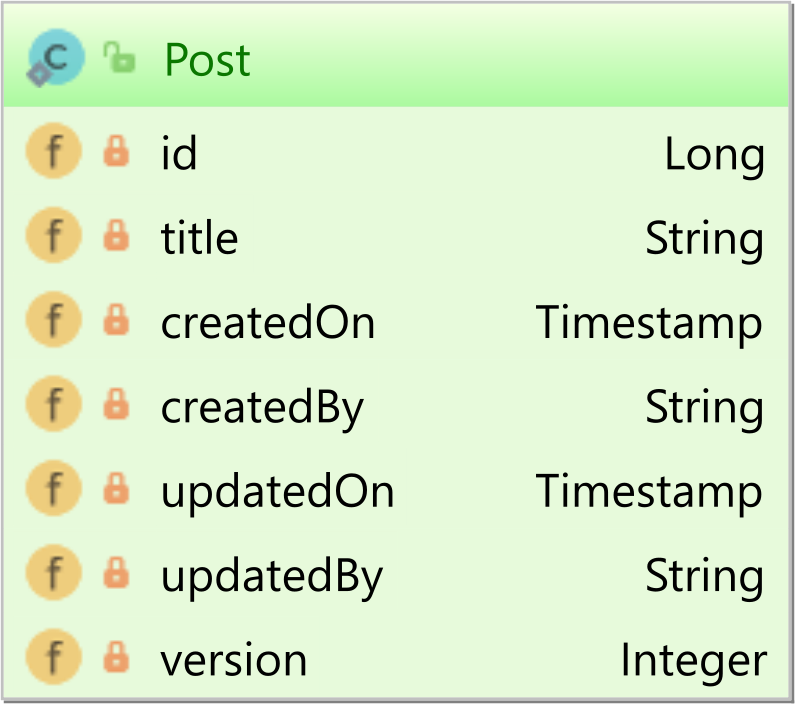 Assuming we want to select just the id and the title from our Post entities, it would be a waste of resources to select an entire Post entity, so let’s see how you could achieve this goal using JPA and Hibernate. When using JPA or Hibernate, you can execute both entity queries via JPQL or Criteria API or native SQL queries. If you don’t want to supply a DTO class for your projection, you can use the JPA Tuple. As you can see, the Tuple is a convenient way of fetching DTO projections as you don’t require to specify a DTO class for every type of projection that needs to be supported. If you don’t want to use a Tuple because you want the DTO projection to use a specific class, you can use a Constructor Expression by specifying the NEW keyword along with the fully-qualified name of the class representing the DTO projection and the list of attributes that will be passed as constructor arguments. The DTO class must provide a constructor that takes all the attributes fetched by the result set projection. Starting from Hibernate ORM 5.2.11, because the HHH-11897 Jira issue got fixed, you can use Tuple for native SQL queries. For native SQL queries, you can no longer use a Constructor Expression, so you need to use a named native query and configure a given SqlResultSetMapping so that you can populate the DTO class either via its constructor or its fields. While you can use all the JPA features with Hibernate, there are many more features Hibernate has to offer than the standard Java Persistence specification. As previously explained, the ResultTransformer allows you to customize the result set any way you like so you can use it to transform the typical Object array projection into a DTO result set. This time, you don’t need to provide a constructor to match the entity attributes being selected by the query. Although you don’t even have to provide setters in your DTO class, here, we need the setter because BigInteger might be returned for the id database column while we need it to be cast as a Long. Hibernate can set the appropriate fields using Reflection, so it’s more flexible than the previous JPA Constructor Expression alternative. We can transform the result set using the setResultTransformer method of the Hibernate-specific org.hibernate.query.Query interface which you can unwrap from the JPA Query. If you want to use a native SQL query, you don’t need to go through all the trouble of declaring a SqlResultSetMapping since you can use the AliasToBeanResultTransformer just like it was the case for the aforementioned JPQL example. As you can see, there are multiple options to generate a DTO projection with JPA and Hibernate. Although the JPA specification offers both the Constructor Expression and the Tuple result, the ResultTransformer can be a much more flexible alternative. Will that give you all the same performance benefits? Yes, they will. The outcome is the same as running the DTO projection via the EntityManager. First of all, congrats for the great article. I was looking for the “DTO projections using a ConstructorResult” solution since the “NEW” keywords in a JPA query didn’t work as I thought so. I managed to use your solution but I encounter this situation. In case I use “SqlResultSetMapping” annotation in my DTO class, the namedQuery can’t been found. Therefore I placed it in an existing entity, which is irrelevant with the DTO itself and worked. Am I forced to use the mapping annotation in an Entity class ? The whole purpose if this solution was to use a DTO and not be forced to map it to a table. In my High-Performance Java Persistence book GitHub repository you can find such examples that work like a charm. Just take a look and compare to your project. Hi Vlad. Fan of your posts like always. I have a doubt, i want to get in your example a PostDto with comments(my PostDto class had a list of CommentDto class). How you perform that ? Its even this possible? Yes, it is possible. Check out the Fetching chapter of my High-Performance Java Persistence book for an example. Caused by: org.hibernate.MappingException: Unknown entity: javax.persistence.Tuple. You can find the answer in my High-Performance Java Persistence book. Is it possible to have nested DTOs? Let’s say each post also has an owner. How can I use something like this? Right now, this results in an error: “org.hibernate.hql.internal.ast.QuerySyntaxException: unexpected token: ,”. Not with the JPA constructor result, but you can achieve this goal with the Hibernate ResultTransformer. For a more detailed example, check out my High-Performance Java Persistence book. Thanks for the quick reply, Vlad. I have worked around this limitation by passing all the required data to the DTO constructor and creating the nested DTOs there. Anyway, good to know about this annoying and undocumented JPQL limitation. Hi! Will this work even for associations? For example, what if Post had a @OneToMany relationship and I want to have only this collection in my DTO? Thanks for this post, didn’t know projection was natively possible. It can work with anything that can be selected from a DB. Could you explain how to map @OneToMany? Check out the Associations chapter in my High-Performance Java Persistence book for a detailed explanation. A DTO is not a UI thing. It’s how you choose to send a response back from the business logic. So, it’s not a bug, it’s a feature. The Result class is a simple pojo with getter and setter of a single field which i use as projection in the query. You can find working example in my High-Performance Java Persistence GitHub repository. Check out this free episode of my High-Performance Java Persistence Video Course for more details about how you should set up this repository so you can run the unit tests used on my blog, in my book or in my videos. Thanks, i already check your example. I did exactly the same way, but i always get a ClassCastException. I debugged the AliasToResultTransformer at all aliases for the projected fields are caps. E.g. “DEVICEID” instead of “deviceId”. As a result the reflection call to find the setter fails. Thanks. Try to use aliases for the column you are selecting. Hi Vlad, thanks for the great article! I’m using native queries to populate DTOs and I have a customized aliasToBean transformer (I wanted to be able to annotate the DTO fields with @Column in order to have better names for my DTO fields). This has been working beautifully, but now I am stuck on a case where a column has a special type (PG inet). I created the custom UserType for it and I would happily annotate my field with this type and process it in the transformer, however hibernate breaks before I even reach the Transformer (No Dialect mapping for JBDC type: 1111). – using addScalar on the SQLQuery to define the custom type for the column, however now I am forced to add all of the fields… and there are about 50 of them. 2. I need to put this mapping on an Entity class, not on the actual DTO class and it doesn’t logically belong to a specific Entity. A. add the custom type to the org.hibernate.dialect.Dialect using the contributeTypes method. This is not straightforward and I am not sure it will work..
B. add some annotation processing for my DTOs and use SQLQuery.addScalar for all the fields. Wouldn’t it be awesome if there was a built-in way to create a result set mapping by annotating the DTO? It would be so much more flexible than the current way to do it. I know this is way long, but I would appreciate any thoughts you have! While for JPQL queries, Hibernate can parse the query and know the actual Type associated to a given DB column, for native queries the Type cannot be inferred. For basic types, this is not a problem since there is a mapping between JDBC type and Hibernate Types. The problem is more related to JDBC than Hibernate since the Types.OTHER (e.g. 1111) can be anything: UUID, Inet, JSON, etc. So, if you map Types.OTHER to Inet in the Dialect, Hibernate will always use your custom InetType even if you need UUID or JSON. Therefore, it’s probably better if you give the Type info on a per query basis, using addScalar or SqlResultSetMapping. It’s unfortunate that JPA does not define a programmatic way of building a SqlResultSetMapping and it can only be done via annotations. How can I overcome the issue of NativeQuery.setResultTransfomer @Deprecated issue for hibernate 5.12.17? Just use it, there’s no issue. The class will only be replaced by something else in 6.x.